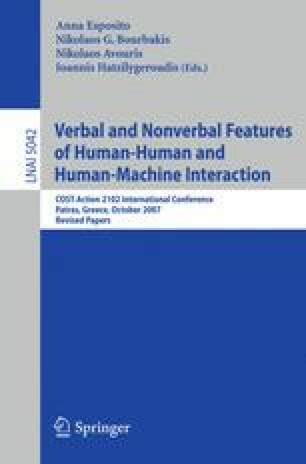 This paper describes an analysis of the verbal and nonverbal speaking characteristics of six speakers of Japanese when talking over the telephone to partners whose degrees of familiarity change over time. The speech data from 100 30-minute conversations between them was transcribed and the acoustic characteristics of each utterance subjected to an analysis of timing characteristics to determine individuality with respect to duration of utterance, degree of overlap, pauses, and other aspects of speech and discourse rhythm. The speakers showed many common traits, but noticeable differences were found to correlate well with degree of familiarity with the interlocutor. Several different styles of interaction can be automatically distinguished in the conversational speech data from their timing patterns.